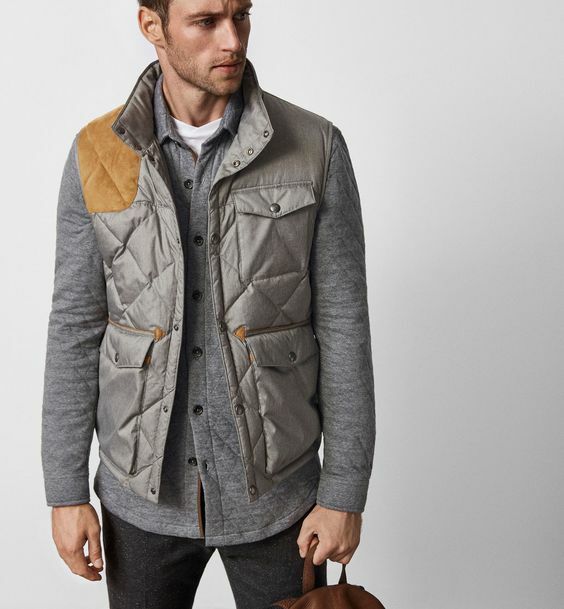 The Gilet Jacket originated in France in the 19th century. Due to it’s french origins, it is pronouced as “jee-lay”, kinda like relay, you know the race. It was designed as a decorative vest keeping style in mind. It was a sleeveless jacket often embroidered and worn by fashionable men of the era. The original design was faulty due to over emphasis on style and fashion and a neglect of utility value. Over the years this flaw has been modified and a balance of style and use is the foundation on which the lastest designs of the gilet jacket are built. Except for the functionality, the traditional design has not been altered. The gilet has a smooth finish and gives a nice slim fit look. It also keeps you warm when the temperatures dip. Gilet jackets are usually up to your waist in height , however they can ve knee length too. They are made from cloth or faux fur, leather or fleece and can be light weigth or heavy weigth depending upon your requirement. Gilet Jackets can be worn as an outer layer or as an additional layer during winter, or while you are hiking, or cycling.